Two bits of math associated with the harmonic scale and the beat frequencies. See recent posts on music and math for where this came from. 1. Why is the word “harmonic” used for the “harmonic” series 1+1/2+1/3+1/4+…? 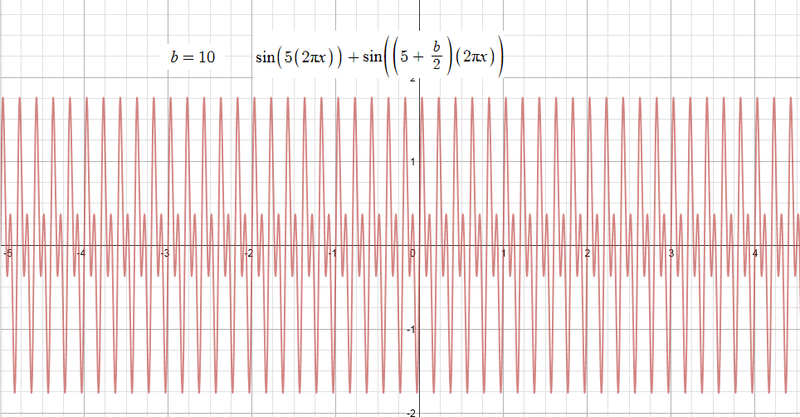 This is easy, the fractions in the series are exactly those proportions of a stretched string that yield the harmonics of the open string. Why is the word “harmonic” used in the definition of the “harmonic” mean? This looks obvious after the event, but I was stupidly surprised by it. 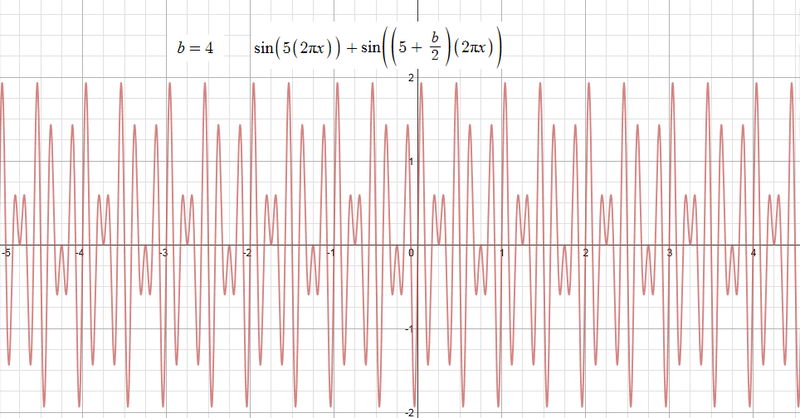 Let p and q be two frequencies, and a and b the corresponding periods. 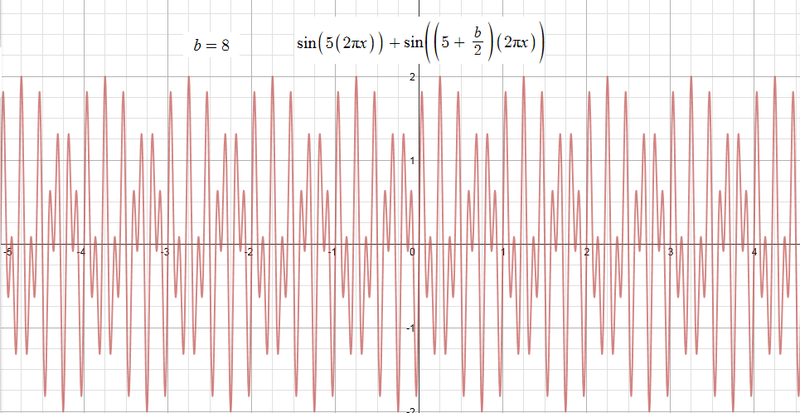 So the harmonic mean of two frequencies corresponds to the arithmetic mean of the two corresponding periods. You can check to see that it works both ways ! So it’s all about sounds, music and harmony. 2. The formula for the beat frequency for two notes with frequencies f and g.
But why ? This is TOO simple !!! I found this by looking at the plots and making a table, then confirmed it by a quick visit to the internet, but no proof. 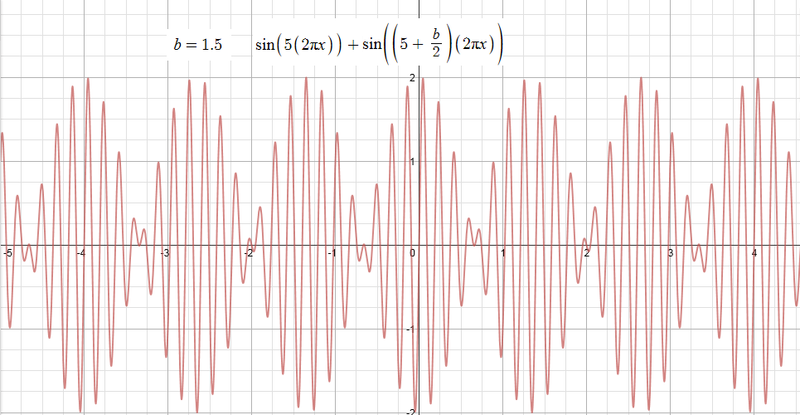 We are adding two sine waves together, so back to school math and always having to work the sine and cosine formulae out from scratch I got to sin(A + B) + sin(A – B) = 2sin(A)cos(B). 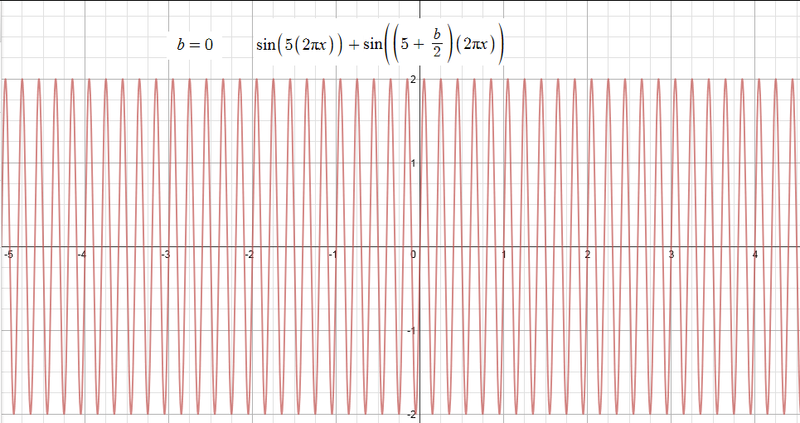 After turning this into the sin(P) + sin(Q) form and getting nowhere I realised that the first version held the answer. Solving we get A = ((f+g)/2) x (2πt) and B = ((f-g)/2) x (2πt). 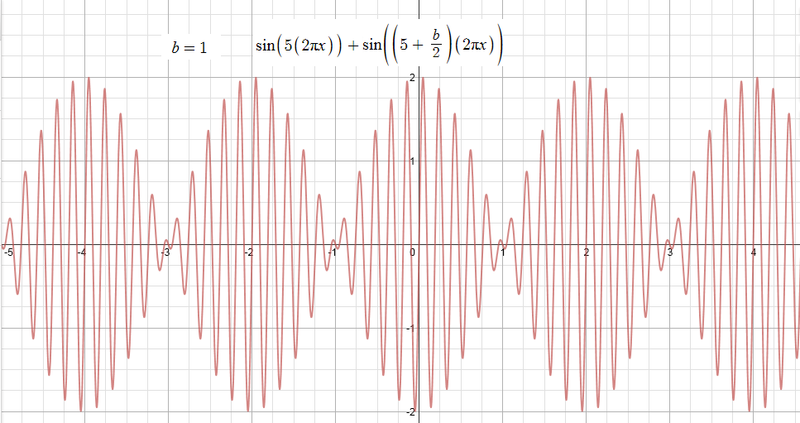 So the combined signal has an amplitude of 2, a fast wave from the ‘A sine term and modified by a slow wave from the (f-g)/2 cosine term. 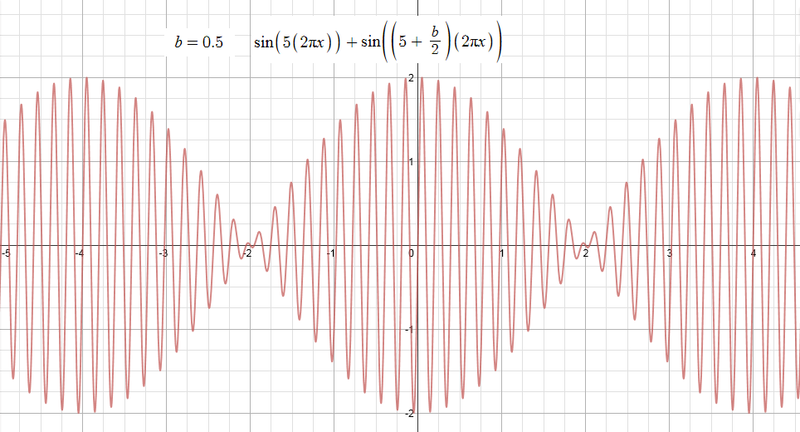 The slow cosine wave has a frequency of half the difference between f and g, but in each cycle of the cosine there are two pulses perceived as volume change, so the frequency of these pulses is twice as big, which is the difference between f and g.
We have ended up with a sine wave of frequency (f+g)/2 modulated by a cosine wave of frequency (f-g)/2. In radio communication this is called AM, or amplitude modulation (as opposed to FM).